To celebrate the 15th anniversary of the Elder Scrolls franchise Bethesda made the second game in the series a free download. The graphics might not have aged well, but the gameplay and world building are among the best that’s ever appeared on the PC. There’s over 88,745 miles of virtual land within the game and a full 15,000 individual locations within that space. 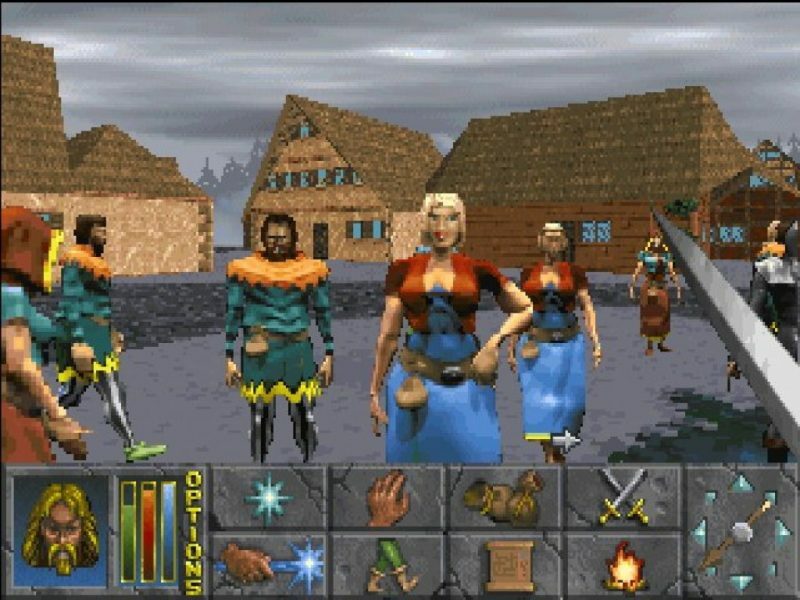 Daggerfall reached goals that even the biggest budget games of today seldom come close to. 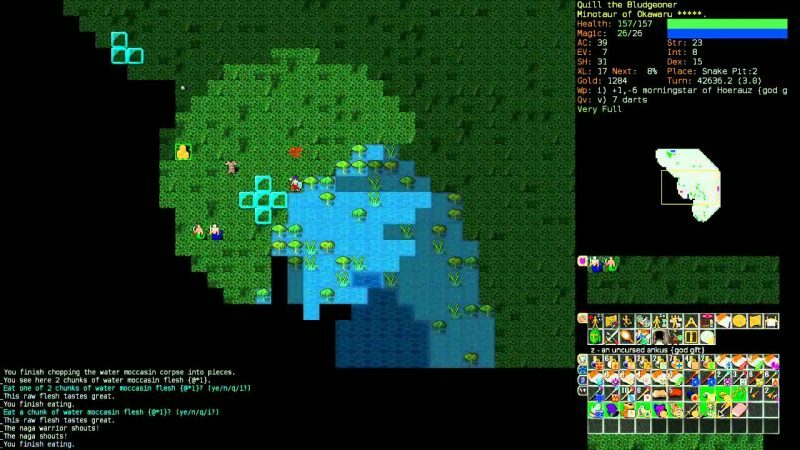 Dungeon Crawl Stone Soup can almost be thought of as an abridged roguelike. It takes everything great about the genre and boils it down to the essence. It’s easily one of the best introductions to the genre thanks to an emphasis on user friendliness and game balance. It’s also notable for the amount of work which has been put into making it accessible to blind and low-sight gamers. Visual novels aren’t especially well known in the English speaking world. Christine Love is one of the breakthrough authors who’s been able to bring the genre to English speaking gamers. While her first outing into PC games is short, it also features the wonderful style and skill that she’s known for. The game’s presentation evokes the world of early 90s BBS systems. The whole concept of a RPG set in a post apocalyptic world where basketball is one of the most powerful weapons might seem like a joke which would quickly wear thin. But beyond that premise is a surprisingly deep and fun game which never lets up on the humor. The gameplay is entertaining for any fan of traditional JRPGs. But it’s really the world building and humor that make it a free game on PC that everyone needs to try. Dwarf Fortress might be the single most complex game to ever be released. The simple graphics hide the fact that the game works with an immense living world that’s filled with stories. Much of the game is randomly generated but in a brilliant way which makes it feel as if every session was handcrafted by a talented author. From there a player can adventure in that world as a roguelike or carefully manage a dwarven settlement through the real-time strategy based fortress mode. League of Legends is one of the best known PC games, boasting a full 100 million active players. While there are microtransactions, the basic game itself is solidly free to play. The heart of the game is a third-person online battle arena where players can compete against each other. But it’s the imaginative character design and style that keeps many players coming back time and time again. Rift is a MMORPG which brings a lot of twists to the standard fantasy tropes. Like many free games for pc within that genre there are occasional microtransactions which can offer a bit of extra help. But a standard free game will still provide the player with the chance to explore a strange new world that’s facing cataclysmic danger. It provides an imaginative melding of fantasy and science fiction to create a world that’s always offering up new surprises. Star Trek Online is another break from the typical style of the MMORPG genre. Instead of fantasy, it’s solidly positioned within the canon of the Star Trek franchise. In fact, the game continues moving forward through time as if it was an all new series. Star Trek Online gives players the chance to not only move forward with the story but to actually take part in it. Yume Nikki is one of the most successful attempts to bring surreal storytelling to gamers. On the surface the player will find a style which evokes memories of 16-bit JRPGs. But they’ll quickly find themselves focusing on the story and themes as more and more strange dreamscapes become accessible. The complex storytelling makes repeated replays almost a given for anyone who wants to fully understand the game. Star Control II is often considered one of the single best sci-fi based adventure games, though the definitive version was only available on the 3DO. This enhanced version was open sourced and the resulting PC port renamed The Ur-Quan Masters. In the process of porting the game it was polished and refined to create what many people feel is the ultimate scifi gaming experience. Now players can finally fly a ship through the complex and mysterious universe presented by the game while being certain they have the definitive port. These are the top free games for PC we recommend you today. Some are old, some are newer but there is no doubt, thay any of them will get you hooked for many hours!